Buy to Let Mortgages are in high demand at present as the number of private rental properties continues to rise. Low interest rates for savers, concern over pension values and demand for rental properties as the homeowner market contracts have all led to this market growing at a fast rate. 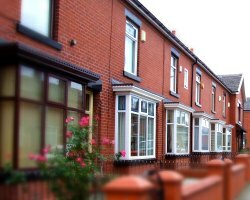 Buy to Let Mortgages are in high demand at present - which has led to an increase in the number of lenders offering buy to let mortgages and in the range of mortgage types for private landlords. The competitive nature of the lenders means there is now a wider range of mortgages for landlords in the market. How are Buy to Let Loan Applications Assessed by Lenders? Firstly all buy to let mortgage lenders have minimum criteria. Most want applicants to be over 25 and have minimum income (excluding rental income) of around £25 - £30k. Many also have a cap of a maximum of 3 or 4 buy to let mortgages with total lending of £2m to £3m. The reason for this is that buy to let mortgages are designed for smaller private landlords rather than property professionals with a large portfolio of rental homes. Buy to Lets are essentially a long term investment opportunity and their value can fall as well as rise. Some properties are less suited to the rental market than others. You may need to prove that you have done your research and sought advice from local letting agents (Not the estate agent selling the property!) regarding its suitability for letting, level of current demand and the rental income you could expect. You are more at risk of external impacts affecting your property's attraction as a letting proposition. A new housing development being built next door could make your property unlettable for a period whilst construction disruption occurs. Remember the 'hidden costs'. Your projections should include solicitors' fees, stamp duty, letting agency & management fees, building insurance, ground rent and service charge for leasehold flats and maintenance or repairs to the property. Remember the potential impact on your tax position. Consider taking professional tax advice from an accountant or discussing it with your tax office. Make sure you can prove that you have plans to show how you would pay monthly Buy to Let mortgage repayments if your property was empty, your tenants didn't pay you or if interest rates rise. Consider a 'rent guarantee' if you are concerned. The reasons the lenders insist on a strict criteria is that lenders are aware that those owning buy to let mortgages do not show the same determination to keep up repayments as home owners do, so default rates are higher. Hence they are fairly conservative in their approach and would normally expect the deposit to be larger than on a residential mortgage. To check you are likely to be successful in your loan application just give us a call or pop your detail into the form on the right. We will be delighted to offer a no obligation view. How are Buy to Let mortgages structured? Most Buy to Let mortgages are 'interest only' (ie the capital on your loan is never repaid) as repayment is normally expected from the sale of the property. Borrowers often prefer fixed rate mortgages as it provides protection fromn fluctuating rates. This can be particularly important if you are borrowing toward the maximum rental income ratios as your ability to afford repayments if rates rise is clearly limited. What costs are involved with Buy to Let Mortgages? As well as an arrangement fee for the mortgage you will probably have to pay for a valuation and the legal costs involved. Interest rates on buy to let loans tend to be slightly higher than they are on residential mortgages. Buy to Let mortgages are not risk free! Do ensure you do not stretch yourself too far when considering a buy to let mortgage. If interest rates rise, property values often fall and this double whammy can hit property investors both ways. Make sure you leave a reasonable margin of error in your calculations. Our mortgage team will be delighted to discuss your Buy to Let mortgage requirements. Call them on 0800 520 0699 (option 2) - we are open Mon - Thurs: 9am-6.30pm, Fri: 9am - 5:30pm and Sat: 9am - 5pm - or give us a few details using the button above and we will be in touch as soon as possible. If you have more than three properties and/or want to borrow over £1m call us on the same number. Our service provides buy to let mortgages from the 'whole of market' meaning that, rather than just one mortgage being considered for you, a wide range of products with differing features, terms, rates and policies can be offered. This choice is a key benefit of our service. Our team will happily discuss fixed rate mortgages, tracker mortgages and discounted rate mortgages. Our mortgage service is provided by London & Country Mortgages Ltd. Beazer House, Lower Bristol Road, Bath, BA2 3BA who are authorised and regulated by the Financial Services Authority. Their FCA number is 143002. You also have the added reassurance of a MoneyMaxim consultant on hand in case of any queries or additional guidance. Larger loans are passed to other panel members but this will be discussed with you before an introduction is made.